i just love the movie dearly!i like the plot and Won Bin gave justice to his role! i love the totality of the movie.. no dull moments!highly recommended! oh i can't leave this page without saying anything. the totality of the movie is like a whole bunch of flowers.by the time each petals would fall off, it's somewhat like the movie progress also and gave you the satisfaction that would cater your expectation..aside from Won Bin portrayed the role with justice ,the movie itself has a good plot.. and i love the movie dearly! highly recommended! I really enjoy this movie. I want to watch another action movie like this with a fast action fight. But I'm afraid that I end up watching bad movie. Can you recommend me something? I love this movie soooooooooo much!!!!! Totally recommend it to anyone!!!! 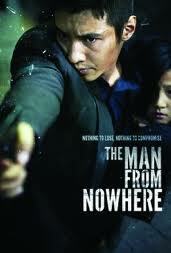 It's my favorite korean movie!! !